No matter how appealing your business’s brand may be, it will be of no use whatsoever to you if it doesn’t reach your target audience. You should treat the task of expanding this reach with the seriousness it deserves by devoting as much of your time and as many of resources as you can to it. To see what you need to do when you set about to expand your brand’s reach, make sure to read on. If you want your brand to reach far and wide, there’s no time for you to be thinking small; you have to shoot for the stars. More to the point, you have to communicate your brand’s mention on the web’s most significant publications. By doing so, even if you are ultimately unable to have your brand mentioned on the world wide web’s most prominent and authoritative sites, it will still be better off with regards to where it falls in the ranking pages. In order to reach the sites that are deemed social influencers thanks to the following and pull that they have, first and foremost, you have to align yourself with a company capable of performing an effective SEO technical audit for you. A company that is an expert in this field, such as Click Intelligence, will be able to sort through all of the different factors that are potentially holding your brand back from communicating with social influencers. First of all, they will check all of your website’s elements, from its coding to its content, against their own audit checklist to ensure that nothing about your site is hampering your brand’s potential growth. To truly expand your brand’s reach, you need to have the reputation of being a content authority. This is because content is king in the digital work of today. To become an authority in this sense, whether it’s written, photographic, infographic, or video content that you opt for, you need to ensure that everything you upload is informative down to the T. This means no mistakes! Nobody is going to believe in your brand or ultimately trust in your business’s capabilities enough to bring you their custom if you cannot provide accurate information on the subjects that you are supposed to be an expert in. A practical and proven way to become a content authority is to guest blog. If you can becomeprolific in this sense, you will find more and more opportunity to slip your brand into the content that you create. As a result, your brand will be right under the nose of your target audience, which is right where you need it to be. Thanks to the fact that it helps businesses reach a highly specific and responsive audience, Facebook is fast becoming one of the Internet’s leading paid search channels. If your brand is going to be seen anywhere in its bid to expand, it should be on this social media platform. 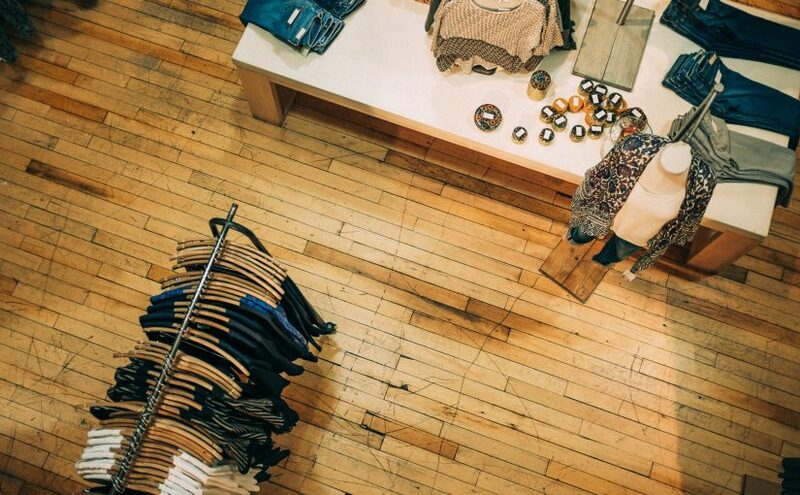 In order to expand your brand’s reach, as stated, there’s no time for thinking small. To create a big brand, everything you do must be BIG. You may go through your entire life without every facing security problems online, but you also never know when something can go terribly wrong. Being a victim of a cybersecurity attack will involve a lengthy process and a lot of trouble in order to get everything back on track. 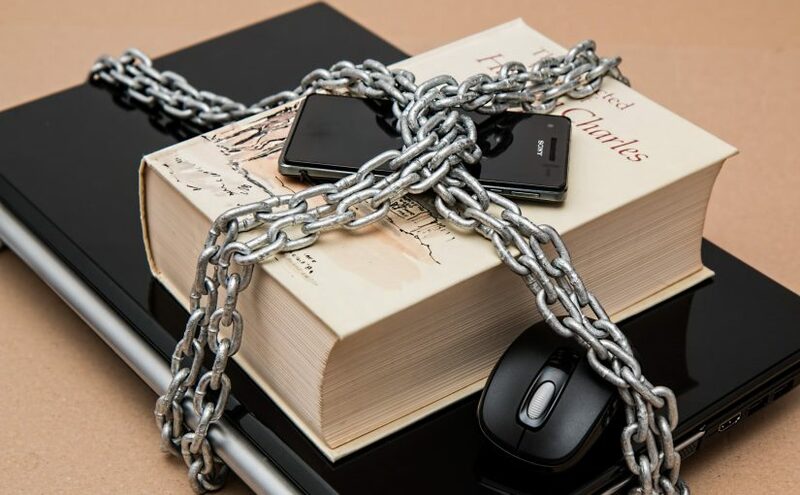 In order to prevent the situation from being unsalvageable and potentially affecting your business’ reputation and standing, then the preventative measures mentioned below should be considered. Collectively these can see you operate safely online while taking the best possible measures to prevent a cyberattack impacting your company. Your very first step should be to download anti-virus software security programs on your laptop. This will defend your computer against malware, and you will be very thankful that you have it should something ever occur. A firewall is another security measure that you can take when operating online. This maintains the security of your private network and will block any unauthorized access from getting in. Coming up with a long and complicated password for everything that you do online is an easy way you can help prevent a hacker from accessing your data with ease. Whether it’s a password for your banking information, your email, or anything else for that matter, this will act as another barrier for protection. Is your Wi-Fi router secure? If it isn’t, this is something that you need to do sooner rather than later. Try to use WPA2 to secure it, rather than WEP. Passwords that you encrypt with WPA2 are more difficult to hack. Fearing a security breach shouldn’t stop you from using the cloud to your advantage. Acloud is a great tool for you to store your information in one succinct place that is online, and is accessible to multiple users, be that fellow employees, other companies or clients. You can read more about the security issues that you could face and the solutions to deal with them through www.mcafee.com. A company that is an expert in providingthese types of services should always be your go-to solution to ensure that any security software program is properly installed and working on your computer. Do you know what to do in order to surf the web safely? What about the steps you need to take in order to complete safe online shopping? When you are purchasing something online, you should make sure that the site you are giving your credit card information to is encrypted, and thus has a secure sockets layer. You will notice this if the URL has a lock next to it. Moreover, make sure to use familiar websites and as always, don’t overshare what you don’t need to. These practices will limit the chances of something happening to you. With these easy solutions, why wouldn’t you do what you can to protect yourself? 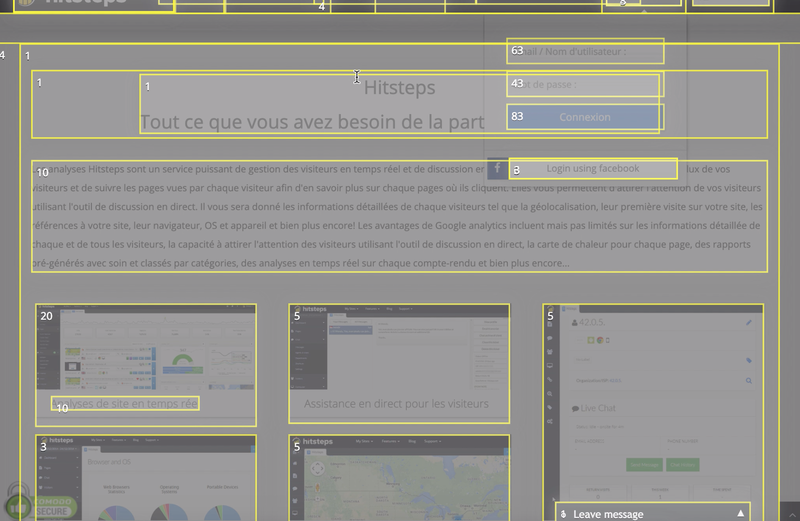 One of the most used feature in Hitsteps is heatmaps. 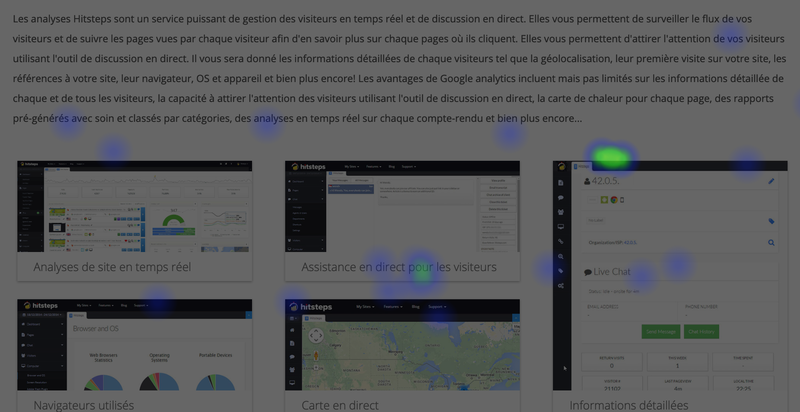 Heatmaps provide an extensive insight into pages usability and design. However they hide informations too. A LOT of informations. Following screenshots are from a classic Hitsteps heatmap when page is scrolled down. You can see some clicks around the screen. It is a good start but there are a lot more to see from behind the scene data that generated this heatmap. Here comes the Page Analysis. We have built Page Analysis to be dynamic, extensible and interactive. Page analysis provide data for heatmaps. but a lot of data that are not possible to view within heatmaps, are now provided via Page Analysis feature. Looking at screenshot below, you can see how page analysis identify each HTML DOM Elements, bind to the element and show number of clicks that happened on that element. Furthermore, Page Analysis provide you with live and interactive view of your website. It allows you to click on your menus and buttons, and see clicks on sub menus and popups where you would not be able to see on a generic static heatmap. This feature come pre-activated in all free trial and Pro accounts. You do not need to enable page analysis to record clicks on a specific page. It record all pages by default. If you do not have your Hitsteps free trial account, you can create one now. no credit card required. We are excited to step into 2019, which will be an exciting year for all of our customers. Hitsteps is working toward integration with a session replay recording service Reactflow which is currently under development and we at Hitsteps are monitoring the development and providing help wherever necessary. 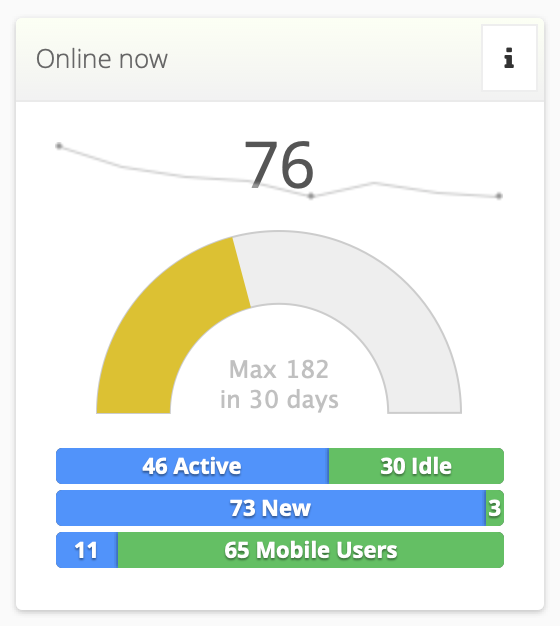 Additionally we are working toward integration with iOS Numeric app which allows you to view your dashboard statistics on your mobile phone and Apple Watch. 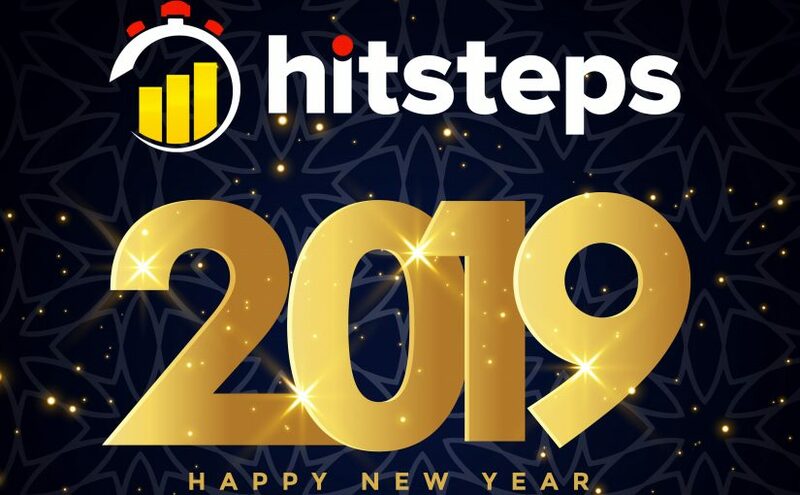 Hitsteps growth did not stop in 2018 and there is no sign of slow downs! we are looking forward to 2019 and upcoming partnerships and integrations. The internet has become the center of our modern world. It’s where we get all of our information, and it’s where most of us communicate with one another. As a result, it’s imperative that your business have a strong online presence. This means maintaining profiles on all relevant social media platforms, as well as employing a strong SEO and content marketing strategy. But while it’s important to develop a strong internet presence, it’s equally as important to monitor and maintain it. And part of this process involves performing an audit of your online presence to make sure you’re saying everything you want to say about your brand, make sure there’s nothing out there misrepresenting you, and also to check to see if it’s time to update your marketing strategy. However, this is another case where the why is much easier to understand than the how. You may recognize the need to audit your online presence, but you might not be sure of exactly how to do it, so here are three things every online audit should include. The first thing you’ll want to do when auditing your online presence is to check to make sure no one is saying anything bad about you. Start by simply performing a Google search of your company name. Check the first page of results, but also dig into some of the stuff that comes up on the other pages. You never know if there is a blogger out there who has an ax to grind, and it’s better to identify these issues before they become more serious than they need to be. Nothing: If there is something out there that is obviously false, or that stands no chance of becoming more mainstream, then it might be best to just leave things as they are, especially if you had to wait until page nine on Google to find something negative. Sometimes drawing attention to these things can be worse. Reach out to whoever posted the negative content: Sometimes a quick email responding to whatever claims this person is making, and also asking them to take down their post, can be enough to bury whatever negativity is out there. Use SEO to bury it: If whatever negative thing is written about you is too big to bury and you can’t get people to take it down, then you may need to get more aggressive. You can hire a reputation management company to help you bury these bad search results further down in Google, for we all know how often people look past the first page of search results. You’ll also want to spend some time combing through review sites. If your business is on Yelp or Trip Advisor, make sure there aren’t any really negative comments out there. And if you find something, address it. You may not be able to win back a customer with a bad attitude, but you will provide some context to the comment that may soften its significance when future users stumble upon it. 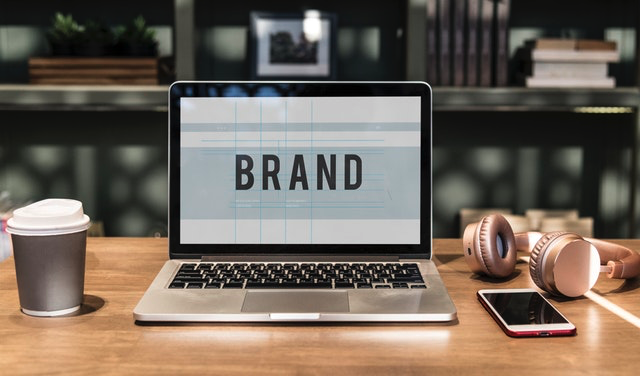 Your online presence is really important for promoting your brand, and one of the most important things when it comes to branding of any kind is consistency. This is because you never know when someone will come into contact with your brand, but you want to make sure that they receive the right message whenever they do. As a result, a big part of your audit should be making sure that all your messaging is consistent. Take a look at each piece of content on all different channels and ask yourself what these things are saying about your company. But before doing this, make sure you’re clear about what it is you want to say. Then, compare this with what’s out there, and anything that’s off message should be deleted or changed to more accurately reflect the brand message you’re trying to convey. Another thing you should do while auditing your online presence is to figure out what kind of return you’re getting from these efforts. But before doing this, figure out what it is you want to get from each channel. For example, are you looking to convert people into customers? 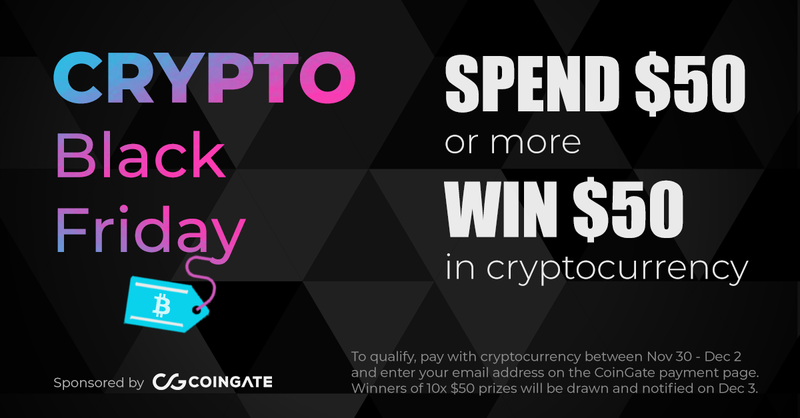 Or do you want people to sign up for your newsletter? Or are you just looking for engagement? This matters because it will help you identify where your efforts are paying off and where they are not. For example, if you’re spending money on Facebook ads hoping to drive sales, but this isn’t happening, then it’s time to rethink your strategy, or maybe even to drop Facebook advertising from your mix. Overall, when it comes to digital marketing, quality is always more important than quantity. It may seem smart to be involved on all platforms, but doing so also exposes you to risk; there will always be irrational people. As a result, you need to be sure that this risk is worth it, and an audit of your internet presence will help you figure out if this is the case. It’s important to stop and do a full audit at least once if not two or three times a year. But this shouldn’t be the only time you stop to look at your internet presence. Evaluation should be built into your approach, as this will help you identify more quickly when something isn’t working, allowing you to adapt and keep moving without having to deal with unnecessary setbacks. About the Author: Kevin’s current focus is running Broadband Search, as well as being the owner and founder of several other business. His business ventures have helped make Kevin an expert in digital marketing, and he likes to share his expertise with other business owners whenever he can.